Iowa started slow, but came on in the second half to win their opener with Northern Illinois 33-7 Saturday. Ferentz says he especially happy with the way the newcomers responded. He says they had a lot of young guys who got to play in live action and hopefully they will take confidence from the experience and be better as they move forward into the schedule. Ferentz says the Hawkeyes have 12 starters who are Iowa natives. “If you look at our roster — about 50 percent of it is Iowa natives — I think that’s certainly important. 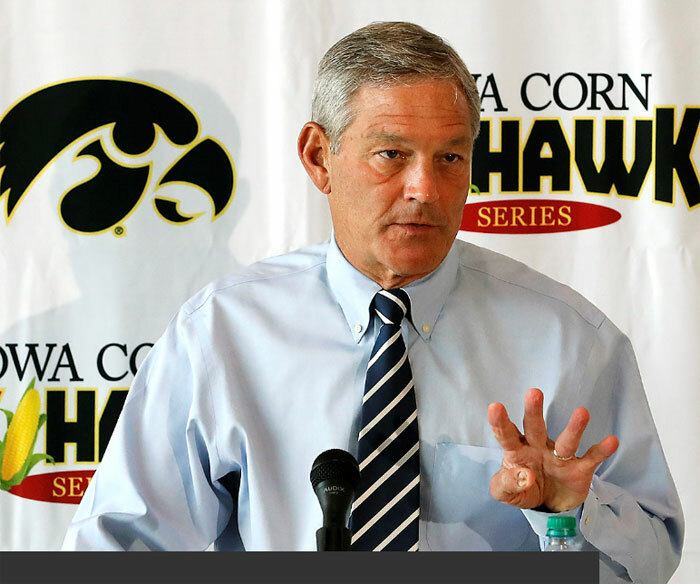 It says a lot about the commitment that our players I think have to our university and conversely the commitment we have to the state of Iowa,” Ferentz says.